Diet Tracking – How Do You Do It? Like I have mentioned in some of my previous posts, the best way to keep a close eye on what you eat is by tracking it. We aren’t superhumans and keeping a mental note of what you ate the whole week can be pretty exhausting. Having self control at all times can be quite difficult as well. The most important thing to remember is – your diet journal should be like a mirror to you. Just like a mirror never lies (unless its one of those fitting room mirrors in fancy stores that flatter you so you can buy the outfit), your journal should be honest and truthful. If you had a chocolate that day, write it. You had a tub of ice-cream, write it. This will help you later in realizing that it’s time to take action and eat clean. There are many iphone and android apps out there that do the same, and even calculates the calories for you. 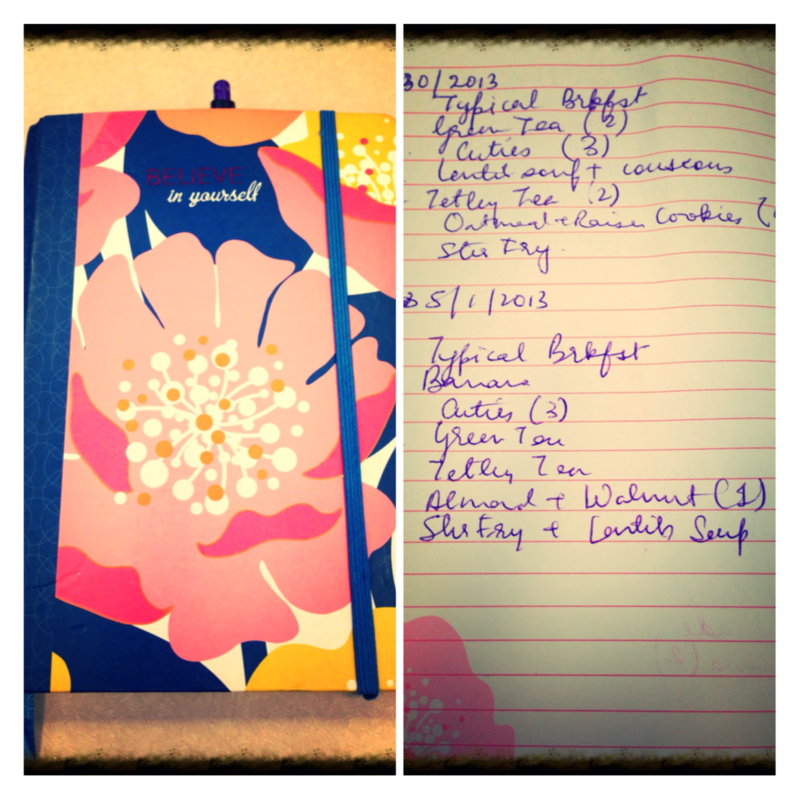 The one that I have been using is “My Diet Diary”. Hope this helps and please let me know what you do to track your diet!